He’s an American legend, a straight-shooting businessman who brought Chrysler back from the brink and in the process became a media celebrity, newsmaker, and a man many had urged to run for president. 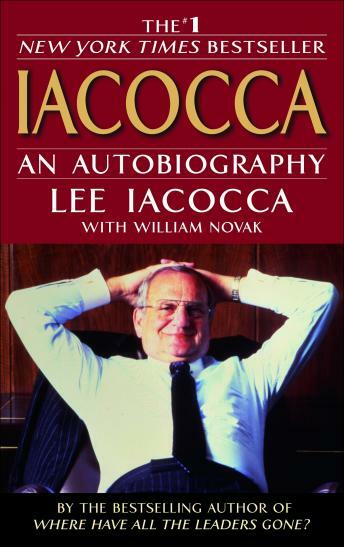 The son of Italian immigrants, Lee Iacocca rose spectacularly through the ranks of Ford Motor Company to become its president, only to be toppled eight years later in a power play that should have shattered him. But Lee Iacocca didn’t get mad, he got even. He led a battle for Chrysler’s survival that made his name a symbol of integrity, know-how, and guts for millions of Americans. In his classic hard-hitting style, he tells us how he changed the automobile industry in the 1960s by creating the phenomenal Mustang. He goes behind the scenes for a look at Henry Ford’s reign of intimidation and manipulation. He recounts the miraculous rebirth of Chrysler from near bankruptcy to repayment of its $1.2 billion government loan so early that Washington didn’t know how to cash the check.